The original corporate address of VisionQuest Recovery Society was the address of the “E” Division (British Columbia) Headquarters of the RCMP. Since undertaking its service delivery role, the Society has enjoyed the support of front line RCMP officers in each of the areas in which we have operated. This support forms a significant aspect of the consistency and accountability practised in the VisionQuest program. The Ministry and BC Housing have been the chief funding partners of VisionQuest. A full discussion of VisionQuest’s funding model is provided below. While not entirely without hiccoughs, VisionQuest has become a trusted partner of the Ministry and BC Housing based on our honesty, transparency and consistent approach. TELUS Community Boards are an innovative funding model that puts philanthropic decision-making in the hands of local leaders who know their communities best. Their focus is to provide grants to grassroots charities that support local youth. Preference is given to projects that also demonstrate tangible technological or social innovation. In 2013, the 11 TELUS Community Boards across Canada contributed $5.4 million to local charities supporting 438 projects. Additionally, Telus has three international Community Boards – in Guatemala, El Salvador and the Philippines – contributed $300,000 to 40 charitable projects in their communities. Computer Recycling, Laptop Recycling and Computer Donating Services. ERA has a clear mission of reducing electronic waste through computer recycling, Laptop Recycling and computer donating services. With depots throughout Vancouver, Calgary, Edmonton and BC. ERA provides a great way to recycle electronic equipment safely and securely. Globalnews.ca offers Canadians from coast to coast a host of news and information – from breaking news in their community to deep engaging content that puts complex world issues in perspective. Our 12 local newsrooms provide up-to-the-minute community-based news, weather and information, while our national coverage features stories, analysis and deep, engaging content about issues in Canada and abroad. 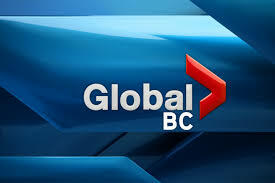 CTV Vancouver is dedicated to being B.C.’s home for news. 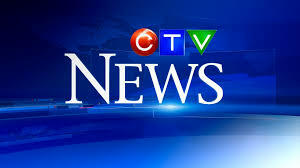 With the largest fleet of live microwave trucks in the province and Western Canada’s first live news helicopter, Chopper 9, CTV News brings viewers news as it happens, wherever it happens in Vancouver. Your neighbourhood pharmacy dedicated to supporting healthy communities in British Columbia, Alberta and The Yukon. Visit any one of over 55 independent Pharmacies and meet your neighbourhood pharmacist. Every day, in every bakery, COBS Bread bakers create a range of traditional and gourmet breads. All products are baked from scratch, fresh daily on the premises.